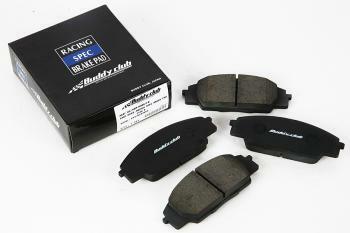 Buddy Club Racing Spec Brake Pads - Pann Auto Performance - San Diego largest aftermarket automotive performance parts - What do you drive? Buddy Club Type Racing Brake Pads are designed for the best balance on all aspects of braking characteristics with more handling & high speed braking control for race track competition use. With strong braking force & higher braking temperature resistance for extreme use, you can trust Buddy Club Type Racing Brake Pads wherever you compete. Race Spec. Brake Pads are ready for race use.